What should you do if your child was injured in another person’s car? You are here: Home / Car Accident / What should you do if your child was injured in another person’s car? At times parents may request other individuals such as friends, babysitters, or neighbors to drive their kids to school or extracurricular activities. They trust them to protect the child against any harm, including when the child is riding as a passenger in their car. Unfortunately, car accidents occur every day, and if your child is injured when riding as a passenger in someone else’s car, you may wonder if you can make a claim on behalf of your injured child. If your child is injured in a car accident, the child is generally entitled to follow the same procedures for compensation, and recover the same losses as an adult is entitled to. The parent can negotiate a claim or file a lawsuit on behalf of the child, and recover compensation for the injuries, harm to quality life, and pain and suffering. When a parent negotiates the claim on the child’s behalf, his/her decisions are scrutinized and need court approval. The parent is entitled to seek compensation for the losses sustained as a result of the car accident, including medical cost of hospitalization, prescription, and rehabilitation. 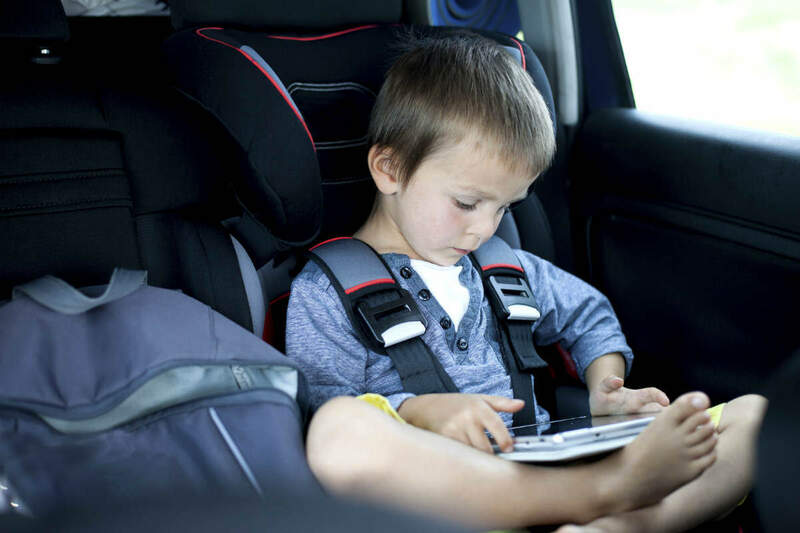 In a case such as this, recovery for child’s injuries can be made against any of the negligent parties including the owner or driver of the vehicle the child was riding in, or the other driver involved in the accident. The parents can also file a passenger injury claim on behalf of the child to recover losses for the child’s injuries. When you recover as an injured passenger, whether as an adult or as a minor, you have several options. If the injuries are minor and there is no dispute regarding causation, and overall, the case is straight forward, then the best recourse is often to pursue a third party insurance claim against the liability insurance of the vehicle owner and any driver involved in the car accident. In most cases, the passenger does not have to prove liability, so the recovery is much easier, compared to what it is for the driver involved in the crash. If the passenger is not able to recover a reasonable compensation from insurance negotiation, then the passenger can file a lawsuit. The passenger lawsuit, like a personal injury lawsuit, requires the victim to bear the burden of evidence. As a parent, you will be responsible for collecting evidence such as photographs of the accident scene, or contact information of the eye witnesses. The parent will have to prove liability, and justify damages by showing causation and actual damage. Has Your Child Been Injured in a St. Louis Car Accident? If your child has been injured when riding in another person’s car, you should get in touch with a competent St. Louis car accident lawyer at The Hoffmann Law Firm, L.L.C. to get help with the claim. We can evaluate your claim for free and help you determine what the best course is moving forward. Call us today at (314) 361-4242 to setup a free consultation.